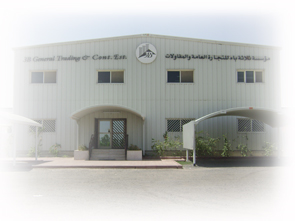 3B General Trading & Contracting Company W.L.L., is an "integrated specialized industrial projects & support services, industrial maintenance, industrial cleaning & waste management services" contractor, having its office and facilities at Shuaiba Industrial area across the refineries and petrochemicals of State of Kuwait. 3B has earned an outstanding reputation for its immense response in meeting project schedule requirements. 3B is dedicated to build long-term client relationships and delivering measurable results in today's highly competitive business environment. With several specialist engineers on staff to meet all its multi discipline activities, 3B has a successful track record of offering quality services to its customers. With its experience, capabilities, continuous work relationship with its customers, and understanding of their requirements, 3B is able to meet the satisfaction of both local customers and international companies. As a regional based services organization its mission is to effectively enhance customers' operating efficiencies improving their operations. The company will accomplish this objective by utilizing proven methods, experienced and qualified people, and innovative technical solutions to solve complex customer issues in a value added approach. Delivery of services to industrial markets with safety and quality performance is the company's primary goal. The management of 3B is committed to safety and understands in implementation and development of field safety. The company uses state of the art equipment to deliver its services. 3B provides its employees a working environment conducive to achieving technical excellence and professional development. With a clear focus on increased productivity, improved uptime, improved quality and cost reductions the company's O&M team works round the clock to meet client’s S/D requirements and operational needs. The company has an ongoing Operation & Maintenance projects at wide range of industries, including oil and gas, chemicals and petrochemicals, power & water desalination. With a resource base of more than 900 operations and maintenance professionals, it provides innovative performance and cost cutting solutions to plants and facilities. Its services allow clients to focus on its core business while it optimizes the effectiveness of plant and facility assets. 3B has built a solid reputation for being able to consistently manage projects effectively with its clients in the Hydrocarbon and Power sector across Kuwait. The company ensures the highest level of quality while utilizing active procedures to track and control costs. Through effective communication and management skills, most of its projects are completed ahead of schedule and under budget. Its cost control and scheduling programs are based upon proven milestones developed from its data for completed projects. This data allows it to project expenditures and chart productivity such that accurate predictions of cost can be made in conjunction with all construction activities. It assigns a Site Manager for each of the projects who will be authorized to take any quick decisions and he will be client’s single source of contact for its execution. The Site Manager is responsible for cost and schedule, manpower loading, coordination of tasks, monthly reporting, and communication for the project. All projects will commence with a kickoff meeting led by the Site Manager in which all key project participants of 3B and the client will attend. The purpose of the kickoff meeting will be to confirm the scope of work, schedule for completion of the work, the roles and responsibilities of all project participants and the procedures for execution of the work. Rubber Lining (Hot & Cold Applications). 3B's ICD team is an integral part of its operation. These cleaning and maintenance services help keep industrial plants and processes running smoothly, efficiently and safely. For heat exchangers, boilers, storage tanks, its cleaning technologies improve cleaning efficiency, reduce downtime, and eliminate safety risks. To improve process equipment efficiency, the company has chemical cleaning for oils and other contaminants and hydro blasting for heavy deposits. Whether day to day, on a scheduled basis, under long-term contract or in an emergency, 3B has the people and the processes for all industrial cleaning and maintenance needs. For individual projects or long-term on-site management, it has the expertise to ensure that your turnarounds are completed on-time, on-budget and safely. Ultra high pressure pumps over 30,000 psi & over 20 years experienced operators makes 3B as unique Hydro blasting service provider in the Kuwait market. Its Chemical Laboratory and Chemists provide a complete range of testing and analytical services for solid wastes, effluents, ground water, soils, sediments, air emissions and particles.